The mountain’s fertile terrain and imposing mass has impressed itself upon the imagination through what they describe as “krautrock de salon”, a hypnotic medieval soundscape born of restless musical spirits. As free as the swirling wind of the Vercors Massif and as intriguing and playful as a young Marmot. Much like their ancestral landscape they deserve further exploration. They are very much a product of their environment. 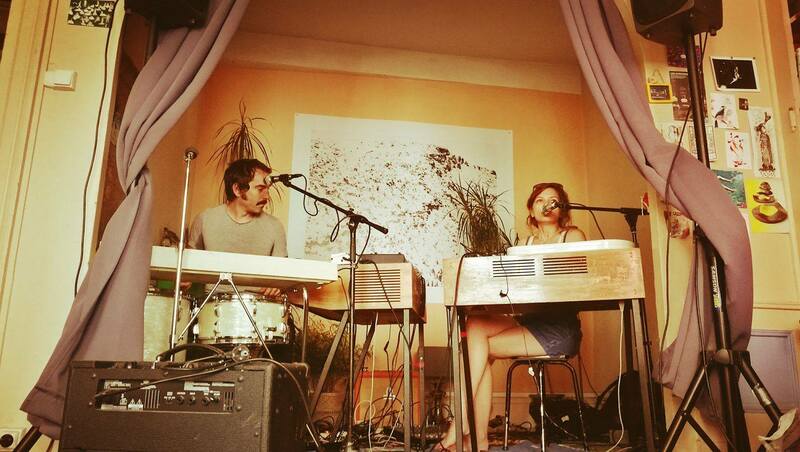 The duo are also one-third of Gloria (Ample Play, UK & Howling Banana, Fr), having played together in Tara King Th whilst still performing separately with Slow Joe & The Ginger Accident and Baby B. They have also recorded with Deborah Kant and Aquaserge. This release is a rearranged and remixed version of their 2016 Bandcamp debut. It will be available on 12” Vinyl (retail & online), Cassette (online only) and all major streaming platforms : iTunes, Spotify, etc.